The Alpine Plant Centre is a unique nursery offering the widest possible range of quality alpines at low prices. 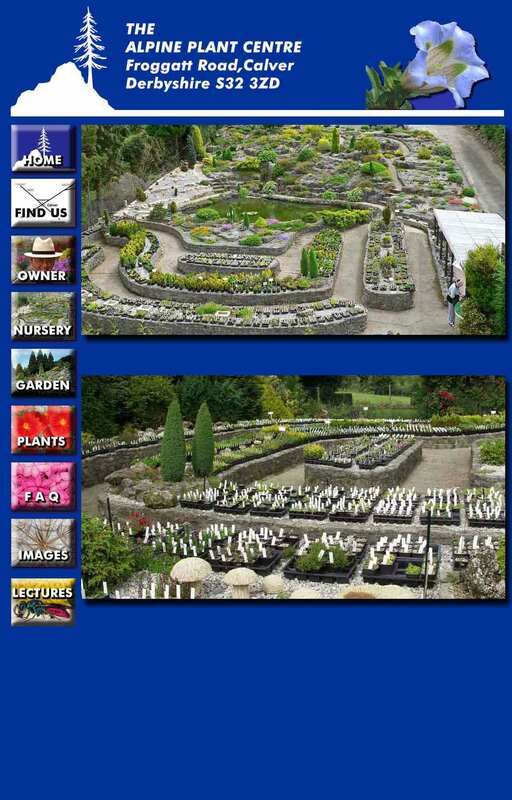 All plants for sale are displayed on attractive stone built raised beds with properly constructed paths to allow easy access for wheelchairs. Ample off road parking is available. Our alpines are grown outdoors in loam based compost ensuring much greater success, especially when compared with forced peat grown plants. Expert advice is freely available from our professional botanist Steve Furness. Please note the following plant images show just a small selection of the plants we grow but do not constitute an offer for sale or an indication of our current stock for sale. All images copyright Dr S B Furness 2013.